The musical box — a novelty toy that produces music mechanically. The crucial parts of a musical box are the cylinder and the comb. The cylinder is the programming device, the equivalent of the punched card used with early computers. It is studded with tiny pins at the correct spacing to produce music by displacing the teeth of the comb at the proper time. The comb is a flat piece of metal with many dozens (or possibly hundreds) of teeth of different lengths. The tines of the comb “chime,” or sound, as they slip off the pins of the cylinder. There are some musical boxes that have a flat disc rather than a cylinder, but the disc is still the equivalent of the operating program of the cylinder. On the other hand, the “too” sweet, saccharine blandness of musical boxes can make them overly or creepily sentimental, and their unsavory social origins (they were associated with the vice of snuff) allow them to be associated with crime as well. Durgnat uses Jean Renoir’s La Règle du Jeu [The Rules of the Game] as an example, in which an aristocrat “expresses his basic spontaneity of soul by enthusing over the latest acquisition to his collection of musical boxes: a huge elaborate Dutch street organ. But its sound acts as background to an attempted crime passionnel, as, again, in Hitchcock’s Strangers on a Train the carousel organ plays, ‘And the band played on . . .’ as a brutal strangling takes place” (p. 231). Hence in Harry Potter and the Order of the Phoenix, there is a sinister musical box that can induce eternal sleep when its music is played. In The Road Warrior (aka Mad Max 2), the Max character played by Mel Gibson uses a musical box to become friends with a strange, seemingly mute child referred to as the Feral Kid. A past crime is signaled by musical boxes in Sergio Leone’s For a Few Dollars More, in which a murderer betrays his identity by having a pocket watch that is also a musical box that plays a distinctive tune. In Luis Buñuel’s Ensayo de un Crimen [The Criminal Life of Archibaldo de la Cruz], a musical box also plays a crucial role. An ornate musical box in the form of a monkey with Persian robes playing the cymbals is featured prominently in Andrew Lloyd Webber’s The Phantom of the Opera. In Japan, where musical boxes are quite popular, the Sankyo Seiki company has specialized in the manufacture of musical boxes which are extremely intricate (there is an entire “Music Box Collection” from Japan consisting of several CDs, generically referred to as “J-Pop,” available on iTunes). Pop songs incorporating the musical box are rare, but when its used is it is often memorable. 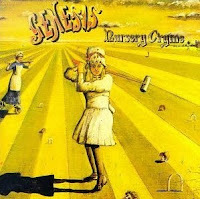 The musical box has also been used as inspiration for a few songs as well, e.g., Genesis’ “The Musical Box” from Nursery Cryme (1971). Here are a few songs inspired by the musical box, or incorporating it into the music.